Mildred Lydia Plihal, 97, of Hutchinson, died Sunday, Sept. 24, 2017, at Woodstone Senior Living Community. Funeral services were held Saturday, Sept. 30, at Faith Presbyterian Church in Silver Lake with the Rev. Carol Chmielewski officiating. Vocalists were Carol Hobart and Roger Sauerbrey. Casket bearers were Scott Rech, Todd Rech, Brian Honkomp, Doug Zrust, Stan Prokosch and Dennis Larson. Interment was in the Bohemian National Cemetery. Mildred Plihal was born Dec. 18, 1919, in Silver Lake, the daughter of Frank and Christine (Slama) Zrust. She graduated from Silver Lake High School with honors in 1937. while in high school, she received the Best Girl Citizenship Award and was active in Glee Club, girls basketball and Girl Scouts. Her classmate and best friend Eleanore Poshek Ashman lives in California. On Oct. 21, 1941, she was united in marriage to David Plihal by the Rev. J. Mrazek at the Czech Brethren Presbyterian Church in Silver Lake. God blessed their marriage with two children and 63 years together before Mr. Plihal’s death on Nov. 14, 2004. She was a lifelong member of Faith Presbyterian Church. 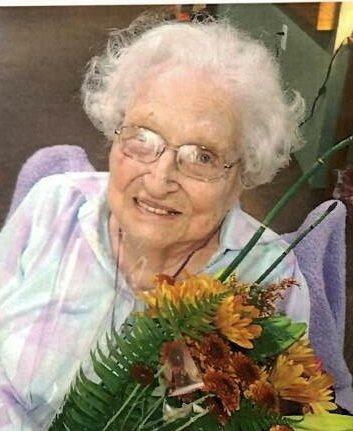 During her full lifetime, she also was a resident of Hutchinson. There she enjoyed the love of flowers and was devoted to her family. Her children remember all the raspberries and vegetables growing behind the tall shasta daisy hedge on Oakland Avenue. She also had a beautiful peony hedge and irises at the Jefferson Street home. Her 20-plus years of employment included the Empress Café, Zeleny’s Ben Franklin and Woolworth in Hutchinson. Her enjoyment was playing the piano and being a gracious hostess. She enjoyed baking pans of kolaches, old-fashioned raisin-filled doughnuts, apple pies and apple strudel from a Haralson apple tree which was a Mother’s Day gift from Tom when he was a carry-out boy at Torgrimson’s Red Owl. She loved her grandchildren, great-grandchildren and great-great-grandchildren. She was the oldest of five generations. She is lovingly remembered by her daughter, Carolyn Rech of Glencoe; son, Thomas LeRoy (wife Valerie) Plihal of South Haven and Texas; grandchildren, Scott and Steffi Rech, Todd and Colleen Rech, Jennie Plihal (Peg Turrentine) and Brian and Angie Honkomp; great-grandchildren, Tracy and Alex Rech, Niki and Eric Settergren, Kennedy and Franklin Rech, Sidney and Spencer Frismanis and Isabelle and Preston Honkomp; great-grandchildren, Mikila and Kedence Settergren. Mrs. Plihal was a great-great aunt on both sides and also is survived by many nieces and nephews. In addition to her husband David, she was preceded in death by an infant granddaughter; grandson, Timothy Plihal in 1999; her parents; five sisters, Irene, Camilla, Helen, Harriet and Lorraine; and four brothers, Fred, Frank, LeRoy and Earl. She lived in our beautiful land of America under 17 presidents. “Life is to be lived as best we can and to everything there is a season and a time to every purpose under Heaven.” Ecclesiastes 3:31.